I love collecting images for each novel. Here’s the Pinterest board for the upcoming The Jaguar and the Witch. 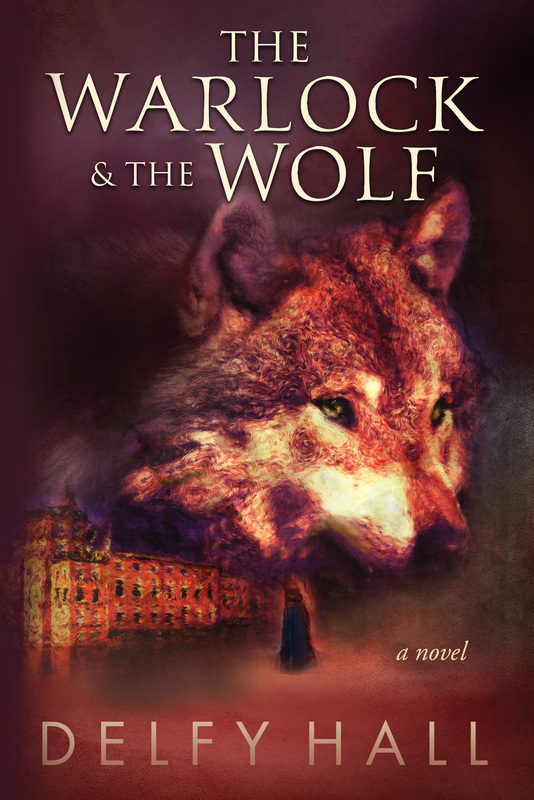 Great news: The Warlock and the Wolf has won an honorable mention from Writer’s Digest for its 2017 Self-Published Book Awards! Check out the story here. To celebrate the start of summer, I’m giving away this adorable Aurora plush toy wolf. This giveaway is open to residents of the US, UK, Canada, Germany, Belgium, and the Netherlands. creature—might have magic powers, or unusual strength, skill, or stature—and appears in the story primarily to aid a more major character. This character type is what I’ve come to call the “strange helper”—strange in the sense of unusual, extraordinary, or exceptional. Here are just a few examples. What are some other examples of strange helpers in Game of Thrones? Share your ideas in a comment! To celebrate The Warlock and the Wolf‘s recent Nautilus Gold Award, I am giving away this very wolfy keepsake book box. It measures 10.25″x7″x2″, the perfect size for hiding secret keys or a healing stone. Refer your friends for extra entries! *This giveaway is open only to residents of the United States. All you non-Americans, please check back in June for a new giveaway you can enter! You can see the full list of Nautilus award winners here. I’m especially looking forward to reading the winning books in the Animal/Nature and Adult Fiction categories. I’m excited to announce that The Warlock and the Wolf was chosen for the 2015 Nautilus Award in the Young Adult Fiction category! The formal announcement will be made on Nautilus’s website in a few days. I can’t wait to see who the other winners are and add them to my reading list! The YASH is over! Whew! It was very exciting. I hope you all had a great time. I know I did! Go to the YA Scavenger Hunt page to find out all about the hunt. There are nine contests going on simultaneously, and you can enter one or all! I am a part of the SILVER TEAM—but there is also a red team, an orange team, a gold team, a green team, a teal team, a blue team, a purple team, and a pink team for a chance to win a whole different set of books! If you’d like to find out more about the hunt, see links to all the authors participating, and see the full list of prizes up for grabs, go to the YA Scavenger Hunt page. Plus, I’m offering a bonus giveaway at the end of this post! I am excited to be hosting . . .
Meredith Zeitlin has written two books for young people (so far), plus articles for Ladygunn and Marie Claire. She’s also a voiceover artist who can be heard on commercials, cartoons, and TV shows (want to know more about that? Go here: www.mzspeaks.com). She lives with two adorable feline roommates in Brooklyn, NY, and loves talking about herself in the third person. All of which, you have to admit, is pretty rad. Find out more by checking out Meredith’s website or find out more about the Meredith’s book here! High school sophomore Zona Lowell has lived in New York City her whole life, happily hanging out with her two best friends and planning to follow in the footsteps of her renowned-journalist father, David. But when he announces they’re moving to Athens for the remainder of the school year so he can work on an important new story, she’s devastated—he must have an ulterior motive. See, when Zona’s mother married an American, her huge Greek family cut off contact. But Zona never knew her mom, and now she’s supposed to uproot her entire life and meet possibly hostile relatives on their turf? Thanks… but no thanks. When my first novel, Freshman Year and Other Unnatural Disasters, came out, I wrote a really fun guest blog revealing which of main character Kelsey Finkelstein’s adventures were based on real, totally ridiculous things that happened to me. I had so much fun—and got such great reactions—that I thought I’d do it for the new book! Of course, you’ll have to follow Zona’s journey Sophomore Year to know what each “incident” refers to—I can’t give everything away here! “The Nightclub Incident” : I had just graduated from high school and was traveling in London. The man who saved me from the obnoxious clubber was named George, and is one of my heroes to this day. I’ve treasured that story for years, waiting not just to include it in a book, but to have the character experiencing it get to say the perfect last line: “I’m adopted.” I WISH I had thought to say it in the actual moment! “The Geese Incident” : When I was researching *SY* I stayed in a place exactly like *Pro-Yia-Yia*’s house and the geese on the property were terrifying. They didn’t chase me when I was in the shower (poor Zona!) but they definitely gave me a run for my money. In fact, I was so scared of getting bitten that I abandoned all my toiletries rather than cross into their territory to retrieve them before I headed for Athens! “The Happening Incident” : My host family in Heraklion—on whom the characters of *Thios* Theseus and *Thia* Angela are based—took me everywhere Zona goes during that part of her journey, including the super random world-famous mandolin concert. Emmanuelle—my host—really did call the mayor when the location got changed! “The Lilena Incident” : I had a close friend go through something very similar when I was young, and it affected me very deeply. I really did make that phone call, and it was incredibly hard and scary. I included it in Zona’s story because I hope there are readers who will find themselves more able to have a tough conversation, and put a friend’s safety before their own comfort. Cryptic enough for you? I hope you’ll check out the book and see what it all adds up to! Delfy here—lots of gems in Meredith’s post! I too have met some scary geese. They are not to be trifled with! A question for readers: If you had to move to another country, which one would you choose? Let us know by leaving a comment. And don’t forget to enter the contest for a chance to win a ton of books by me, Meredith Zeitlin, and more! Add up all the secret numbers of the authors on the SILVER team and you’ll have the secret code to enter for the grand prize. I’ll see you at the next hunt in October, 6 months from now! P.S. I’m giving away a wolf! See below for details. Mina stands up for animals. But can she stand up to her parents’ killer? Find out in The Warlock and the Wolf! During the hunt, this fantasy adventure is on sale for only 99 cents! Grab it at any of these retailers. 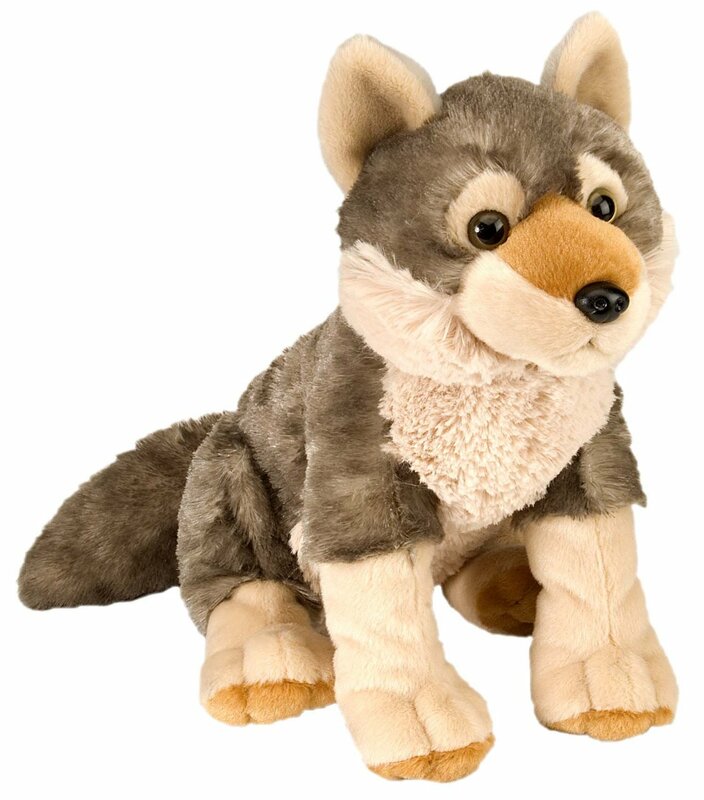 Enter for the chance to win this adorable wolf by Wild Adventures Cuddlekins! This giveaway is open only to residents of the U.S., Canada, the U.K., and the Netherlands. Residents of other countries will be disqualified.